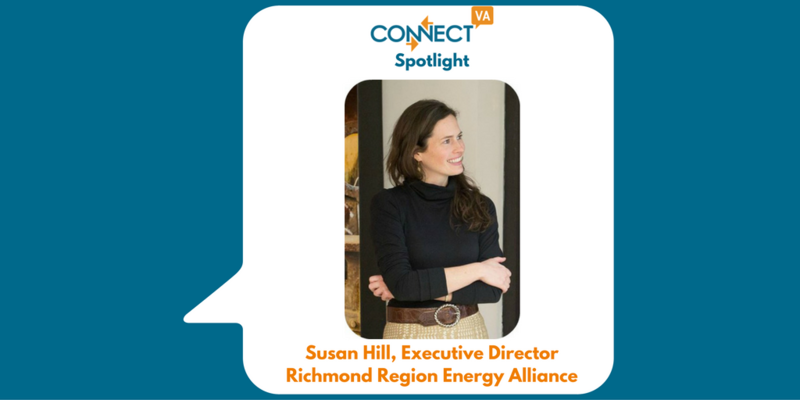 I am Susan Hill, the executive director of the Richmond Region Energy Alliance. I’ve been with the organization for 4.5 years, and I have a background in fashion and nonprofit fund development. Since I joined RREA, I became certified as a building analyst, so I also conduct our home energy evaluations. We help people make their homes more energy efficient. Efficiency upgrades lower utility bills, make homes less drafty, and improve indoor air quality. Reducing energy use and installing solar power ultimately improves the environment, which is at the heart of our work. We start all of our clients with a walk-through energy assessment and make customized recommendations for what their home needs. I love the intersection of the field with affordable housing, green building, and environmental advocacy and working with partners from all of those sectors. On the daily level, it’s a privilege be invited into someone’s home to give them guidance on how to improve their energy efficiency. I meet a lot of people through this very personal way, and it’s very rewarding. Once I’ve changed a light bulb in someone’s bathroom or bedroom, we are usually fast friends. Getting people excited about sealing up air leaks and adding insulation is not easy work! Energy itself is also an elusive topic, so we work hard to make saving energy tangible and quantifiable for people. Our solar power program has been a great way to get people thinking about their home’s energy use, and then we remind them of the importance of reducing their energy consumption before investing in solar. 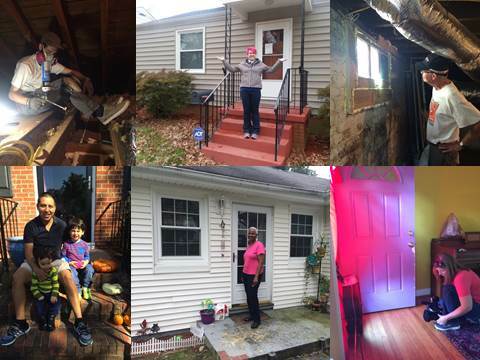 We launched a new program this year called EnergizeRVA, in which we use volunteers or the participating homeowner to install approachable energy savings measures in the house. It’s fun to introduce people to the blower door test, which is how we measure and feel air leakage in the home, or see them excited to get suited up to insulate hot water pipes in the crawlspace. The program has a lot of potential to teach people hands-on energy savings techniques – like caulking leaky windows – all while saving the participating homeowner on their energy bills. We use ConnectVA as a community information hub, so we always list our job postings and events there. As a small nonprofit using only grassroots marketing, having this public outlet to promote our work is very beneficial. At our last solar power workshop, one of the attendees I spoke with had seen it advertised on ConnectVA, so we know it’s a resource that people turn to. Saving energy at home offers an immediate financial benefit, while making a global impact through emissions reductions. It’s a win all the way around! I work in the same office as Susan and I have actually worked on renovating her personal home. I can say without reserve that she one of the few in our industry [energy efficiency] that truly puts her money where her mouth is.